This post, CBD Oil 101 Everything You Need to Know, has been sponsored by VivaOil. All opinions expressed are my own. Chances are you have heard of CBD before, whether it be on the news or in within your social circles. It is so popular in fact, CBD is even being called the new Kale. Derived from the hemp plant, this new product is taking on the wellness scene by storm. But is it marijuana? No. The hemp plant is a part of the cannabis genus, and both CBD and THC are active compounds found in marijuana, but the CBD we are talking about here is derived from industrial hemp, which is defined as a cannabis plant containing no more than 0.3% THC. So what is the hype with CBD? As a Certified Holistic Cannabis Practitioner, I have done the research for you. 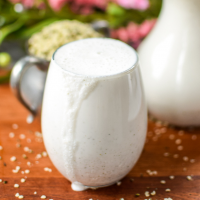 For thousands of years, people across the world have been incorporating hemp’s powerful anti-inflammatory and neuroprotective properties into foods and medicines, and now research is coming out to support these therapeutic uses for both mental and physical health. CBD is short for cannabidiol which is the second most abundant of all the cannabinoids. CBD is non-psychoactive meaning it does not give the feeling of intoxication or ‘being high’. Cannabinoids are organic compounds found within the hemp plant that interact with endocannabinoid receptors in the body and trigger a variety of effects. So far, over 100 cannabinoids have been identified. The human body contains what is known as an endocannabinoid system which is broadly thought to help with maintaining homeostasis. Therefore, it is understood that the human body needs cannabinoids. Another important definition to note is that of terpene, an essential oil found naturally in all plants including hemp. Terpenes give plants their aroma. Myrcene and limonene are two examples of terpenes, both of which are found in all VivaOil products. Research has found that myrcene holds many beneficial properties – it is a potent anti-inflammatory, anti-bacterial, anti-mutagenic and analgesic. Research suggest that limonene suppresses the growth of fungi and bacteria. Hemp used to be a major crop in the United States and across the world way-back-when, before the plant was made federally illegal in 1937. Cultivated across the globe for thousands of years, hemp has been used for everything from clothing to food to building materials to natural medicines. 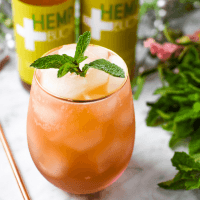 In present times, hemp is going through a sort of renaissance as further research continues to reveal the efficacy of the compounds found in the leaves, flowers and stems. As awareness and understanding of the endocannabinoid system grows, so does the understanding of how cannabinoids interact with the body. *Click to learn more about Research Findings Relating to Cannabidiol (CBD) and its Influence on Inflammatory Bowel Disease and Irritable Bowel Syndrome. How is CBD Hemp Oil Produced? With CBD being so new to the marketplace, it is understandable how it can be difficult to find the product, and difficult to find the right brand you can trust. After conducting my own research, I personally decided to partner with VivaOil, a Colorado based CBD producer, due to their commitment to purity, quality, and safety. This method is known within the industry as the safest and most superior method of CBD extraction. The CBD oil is then mixed with high quality MCT coconut oil. Finally, independent, third party lab testing is conducted to ensure that only the highest quality product carries the VivaOil name. CBD can be incorporated into your wellness routine in a variety of different ways, from full spectrum CBD oils to CBD creams, as well as a method known as vaping. Using CBD in oil form is a great way for beginners to start using this product. VivaOil CBD oil can be used as a daily supplement or topically applied for targeted relief. The oil is available in five different concentrations ranging from 100mg to 2,500mg of CBD. 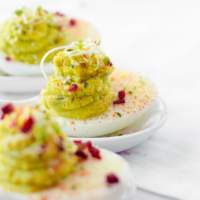 The ideal serving sizes vary from one person to the next. Several factors can affect the amount of CBD required for a person to meet their goals. Variables such as weight, whether you have eaten, and the serving size of the CBD ingested can impact results. The 100mg & 250mg concentrations of CBD oil are generally used by people who seek to take a daily supplement with the goal of preventative health. For someone with something specific they would like to address, the 500mg or 1000mg oil would be a good starting point. The 2,500mg oil is for people who have used CBD for some time and need to take a higher serving size to meet their needs. It is suggested that you start with a low serving size when starting out and go slow while working your way up in concentration. The goals is to find the lowest daily serving size that meets your needs. When consuming VivaOil, the most important thing to note is HOW you take it. It is recommended to place your serving size of CBD oil under your tongue and hold it there for 60-90 seconds, or as long as you physically can This ensures more effective absorption into the blood stream. When the oil is swallowed without holding it under the tongue, the CBD oil passes through the digestive system and metabolism by the liver can reduce the potency of the CBD. VivaOil can also be applied directly to the skin or used as a massage oil for those seeking targeted relief. Don’t forget to use the code “VivaEKN” to automatically get 10% off your purchase! VivaSalve Recovery is a topical salve that has been formulated to promote muscle, joint and skin revival, healing and recovery. Anecdotal reports indicate that people use the VivaSalve for a variety of different ailments including pain, inflammation, muscle spasms, muscle cramps, headaches, neck pain, joint pain, eczema, bug bites and sunburn. Apply the salve 2-3 times daily to the target areas. It can also be used before or after a workout to accelerate recovery. My personal favorite, the VivaStick will quickly become your new favorite chapstick and is a must have for all seasons. It provides sun protection and sunburn relief and creates a great barrier from cold and dry conditions. The combination of coconut oil and cocoa butter offers a natural form of sun protection without harsh chemicals. Apply the VivaStick as many times as needed daily to your lips for a soft, moisturizing feeling. It is available in three flavors: natural, strawberry and natural terpene+. Did you hear the amazing news? The US senate and House of Representatives approved the 2018 Farm Bill December 12th, 2018 which features provisions to remove hemp from the US Controlled Substances Act. This clarifies the murky legality that has been surrounding CBD-derived hemp, meaning that CBD Oil could now be completely legal across the country, as soon as it is signed by President Trump as early as next week. Some people will say that CBD is legal in all 50 states, but that is not technically true. Our outdated and backwards laws continue to keep CBD illegal on the federal level. However, it should be noted that VivaOil is derived from industrial hemp, which is defined as a cannabis plant containing no more than 0.3% THC and it is grown in accordance with Colorado’s State Pilot Program. “Meanwhile, the Drug Enforcement Administration maintains that CBD is definitely still illegal. Last November, a spokesperson for the agency explained to WTHR that those who violate federal drug laws still run the “risk of arrest and prosecution.” But he also said that the DEA is not going after individuals who have benefited from CBD oil.” – Source. As movements continue to be made to make marijuana legal recreationally and medically across the country, new laws are also coming about for CBD. Fifteen U.S. state legislatures have passed “CBD only” (or, more accurately, “low THC”) laws, and other states are poised to follow suit. Some states restrict the sources of CBD-rich products and specify the diseases for which CBD can be accessed; others do not. Annually, the hemp industry in the U.S. generates $700 million – and growing! Sadly, most of the hemp used to make goods in our country is grown abroad. Thankfully, the Hemp Farming Act is set to change that. United States Senate Majority Leader Mitch McConnel – who has long been an advocate for the American hemp farmer – said that, “due to outdated federal regulations… American farmers have been mostly unable to meet the demand themselves.” It is exciting to know that these boundaries will soon be lifted allowing U.S. hemp farmers, CBD producers and consumers full access to this amazing herb. Source. I live in New York which seems to be CBD friendly. An official New York State website currently states, “…Governor Cuomo also introduced and signed new legislation to establish industrial hemp as an agricultural commodity under the State’s Agricultural and Markets Law.” Industrial hemp-derived products which, by definition, contain Non-Detectable THC by weight are now available for purchase. New York maintains a positive CBD legal status which is clearly seen in the growth of the CBD market.” – Source. *No matter which state you reside in, you do not need a prescription to obtain CBD oil. Please check the laws in your own state regarding whether or not it is legal for you to purchase. 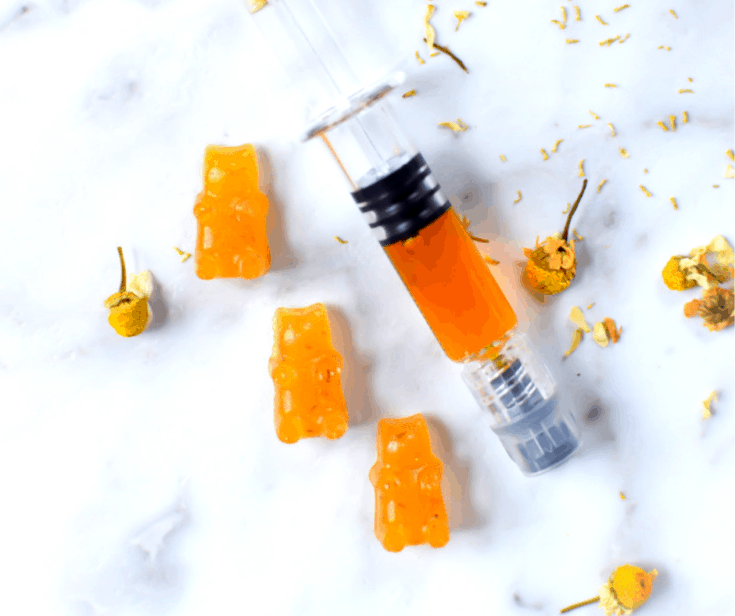 Because it is so new, the CBD market place is really the wild-wild west right now, meaning that it is important to do your research before purchasing any products. I have done my research and settled on vivaoils.com and my preferred CBD supplier. I appreciate their transparency in their business, as well as their dedication to purity and exceptionally high quality standards verified by third party testing. I have had the opportunity to spend time speaking with the husband and wife duo – Doug Campbell, one of the co-founders of VivaOil and Romy Campbell, the Registered Nurse employed by the company. I immediately felt welcome into the VivaOil family. I know that they are passionate about their product and the purpose that is serves, and I am proud to partner together to offer CBD products for sale through my website. All of the VivaOil products will be available for purchase through the links here, and when you use the code VivaEKN you will automatically get 10% off your purchase. I often feel stifled by my profession and the need to adhere to evidence-based guidelines, especially when there are no evidence-based guidelines on a topic such as CBD because the research studies have been limited by the federal government. On a logical level, I practice with a holistic health influence and I believe in the healing powers of Mother Nature. I believe that she has provided us with the food and medicines we need within plants, and I believe it is criminal to withhold natural solutions to so many ailments without a substantial basis. I think there is a time and a place for conventional medicine, but I also believe that the pharmaceutical industry is corrupt and quite frankly out of control. I am no stranger to the use of marijuana, and personally have used marijuana and CBD products myself. I have found a significant relief in my anxiety since using CBD oil, and it gives me a way to manage my anxiety throughout the day without the psychoactive effects of THC. I am dedicated to learning more about cannabis, hemp, marijuana, CBD, and other plants which promise positive health benefits for myself, my family, my clients and the general population. If you have any questions about this post or CBD in general, feel free to leave them in the comments below or send me an email! *These statements made in this post have not been evaluated by the food and drug administration (FDA). This post and product is not intended to diagnose, cure, treat or prevent any disease. I am excited too! I am excited to see where this industry goes, there is so much potential. Thanks for stopping by, Andrew! 2019 will be an inflection point for the whole marijuana industry. CBD is awesome, I am most excited about the availability of CBC, CBG and CBN lesser known cannabinoids with one of a kind health benefits. Curious about the chapstick. Do you are relief from symptoms just from using that? How easy to keep in your purse and just whip it out as needed! Hey Meriem!! I am going to send you a private email to answer your questions 🙂 Thank you for writing! I’m a43yrs old lady with an invasive 3rd grade breast cancer and I’m in Belgium blocked from getting the CBD oil. 1st question : I don’t know where to ask ? From where to get it here as I’m afraid to order online and the authority will confiscated it in the border ! So if you know from which shop in Amsterdam, they have a pure one for me I can go and buy it from them ? Which kind of oil is useful for me ? Is it the CBD or THC ? & with how much concentration ? & daily serving size i should take it ? Thanks in advance for your reply soon. Music to my ears, I am so glad you found this to be helpful! Thanks, Meme! Thank you so so much Lorie, I really appreciate it! I hope it helps! It was the perfect fit, thank you so much Liz! This post is so well done and so informative, Emily. I applaud you for taking so an open-minded look at the facts and research, and for being so transparent in your stance. Thank you! So interesting Em! I’m so glad it worked out with them! I knew you’d be the perfect fit! I’ve been hearing a ton about how amazing CBD oil is but haven’t really taken the time to educate myself. This has been so helpful and informative—I definitely have a much better understanding now and any help with anxiety is huge! 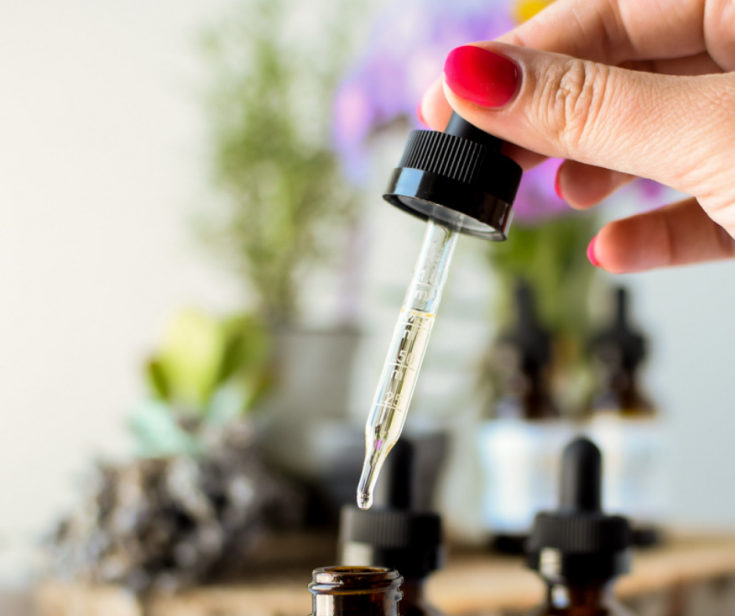 I’ve been looking into CBD oil and all its benefits and have wondered what the best type was to start off with and how to use it so this post really helped me learn more about CBD oil and how I can incorporate it into my life! Thank you so much, Whitney!! I really appreciate your kind words! I hope you found this post helpful, Julie!! I am so, so happy to hear that you are finding relief, Debbie!! xo, Thank you for sharing! I have been taking doTerra’s form of this oil for 2 weeks now and I cab’t believe the difference in how I feel. Thank you for post this. I highly recommend it to anyone that has any kind of pain or anxiety, It’s been a miracle worker for me. What a fascinating product that sounds like it could help so many people! I’ve been curious about it so it’s great to know all the facts. It’s interesting, but I spoke with a man at Expo West who was an expert there doing a talk on CBD oil. He said if there was research or any claims on CBD oil, he was in the know. But when I mentioned that my friend had been using it for her son, and it showed digestive benefits (I had heard this from others too) he said this wasn’t something he had heard at all. 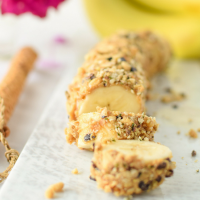 It’s interesting to see you post on digestive benefits, too! Beautiful post and amazing information! You’ve covered everything in a way that’s so easy to understand, as this can be an overwhelming topic for some.